Michelle has been in the financial services industry for over 20 years. She has owned and operated her own Broker-Dealer and has served has an Investment Advisor since 2001. 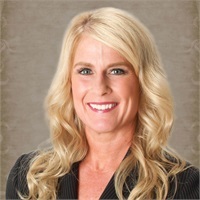 As a graduate of The University of Texas at Arlington, she holds a Bachelor of Business Administration Degree in Management in addition to attending The Southwestern Graduate School of Banking at Southern Methodist University. Michelle is a fitness enthusiast, she enjoys being outdoors, reading and traveling.